Richards, Ron (Social Science) / libertarian! Greetings, fellow citizens, and be welcome to my site. 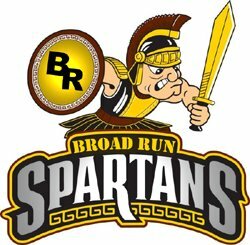 I am currently the senior member of the Social Studies department, entering my 22nd year at Broad Run, my 25th year of teaching. I graduated from the University of Maryland – FEAR THE TURTLE! – in 1969, with a bachelor’s degree in Political Science and a history minor. My primary teaching assignment since coming to Broad Run has been U.S Government. In 1987, I inaugurated the Honors Government program here at BR, and continued it until the county launched its foray into AP U.S. Government & Politics four years ago. In addition to preparing my students for the AP exam, my overriding objective is to provoke thought. To that end, my class is therefore geared toward the controversial issues of the day, both foreign and domestic, and has been described as writing-intensive.